In today’s My First Fight, we talk to Demian Maia, who will face Carlos Condit at UFC on Fox 21 in Vancouver, Canada on August 27, about his third, fourth, and fifth professional MMA fights. 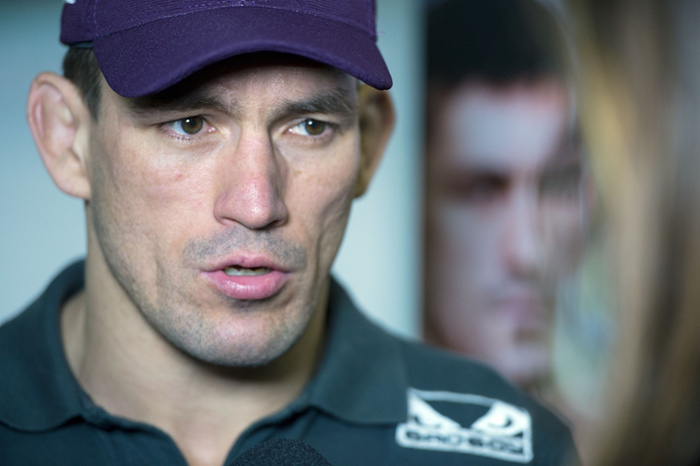 “There were many moments like that,” Demian Maia, the Brazilian jiu jitsu master who puts the art in mixed martial arts more than most, muses when asked what he would consider his first fight. But he didn’t truly realize that MMA was the right path for him until he was already on it. The night that changed everything was October 7, 2006. The event was the SCI Super Challenge 1 in Sao Paolo, Brazil. Maia was entered in an eight man tournament on the card and the conditions of those brackets were far from ideal for him. To win, he’d have to fight three times. His first match would be at midnight, followed with bouts around 2am and 4am. And although he had some and MMA experience and two finishes on his short but perfect record at that point, all of his opponents had more.